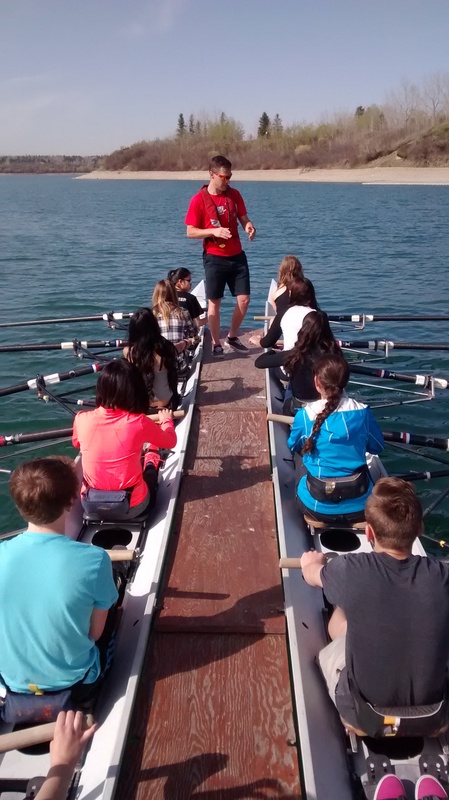 Our Youth Camp members will learn everything about rowing, from boat handling to stroke technique, all in a week! By Friday they're zipping around the reservoir. 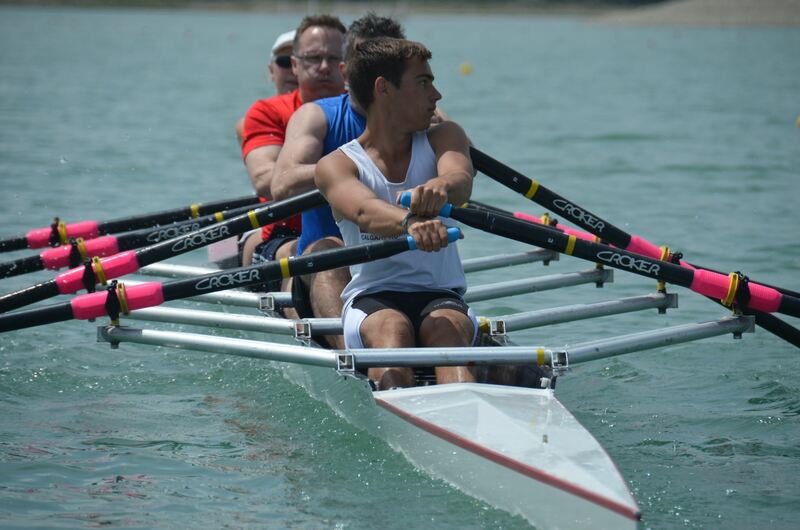 Teamwork is crucial in rowing. We emphasize this by incorporating fun games that require working together effectively. The CRC camp experience builds self-confidence, develops skills, and above all, new friendships. Camp starts at 8:30am and finishes at 4:00pm. Supervision starts at 8:00am if your son/daughter must be dropped off early. 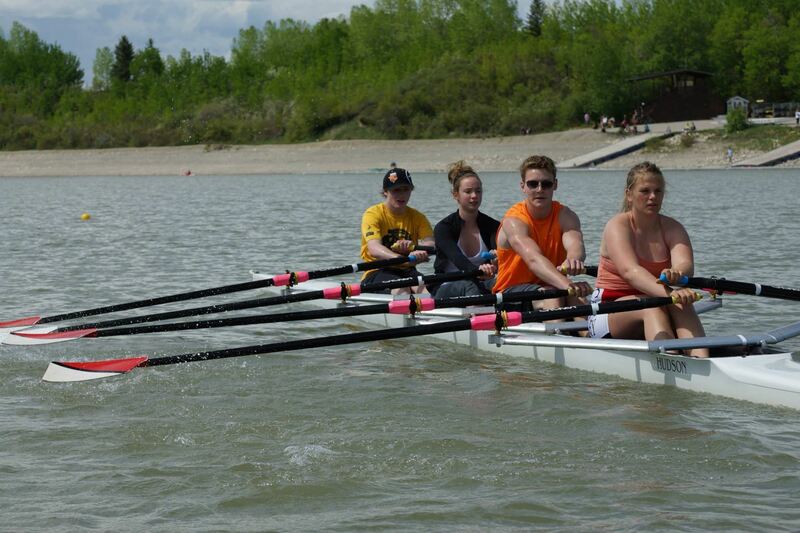 Ages 10 - 15, no fitness level or rowing experience required! During this hour on the first day the coaches will cover the basics of the sport. Safety rules, boat handling techniques, boat components and common rowing terminology will be covered. Each day, the youth will have three to four hours of rowing time (weather and water conditions permitting). Rowing is also about dry land training. 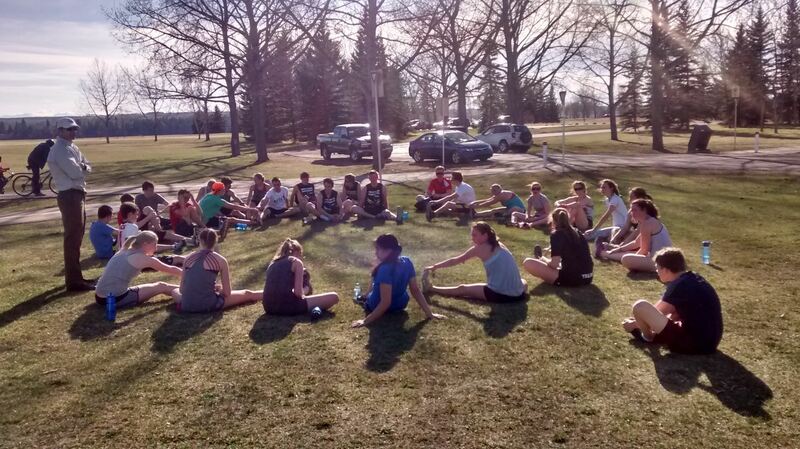 Our coaches will teach them about the different aspects of dry land training. From team games to relay races on the rowing machines, dry land training centres on developing conditioning while having fun! The week ends with the Summer Splash Regatta. The rowers will have their chance to show off their rowing skills as they race down our 1500m course for a chance to win the coveted Slurpee Cup. Parents are welcome to attend, watch and cheer on the crews! $215 registration plus a 3% processing fee and GST covers everything except lunches. Payment is due at the time of registration. We accept Visa or Mastercard. 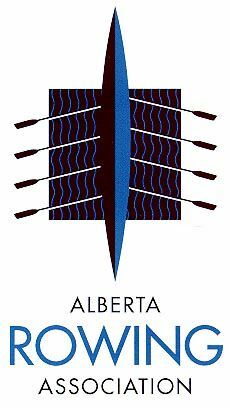 You can also send us an e-transfer to office@calgaryrowing.com. Make sure to register early as classes fill up quickly. 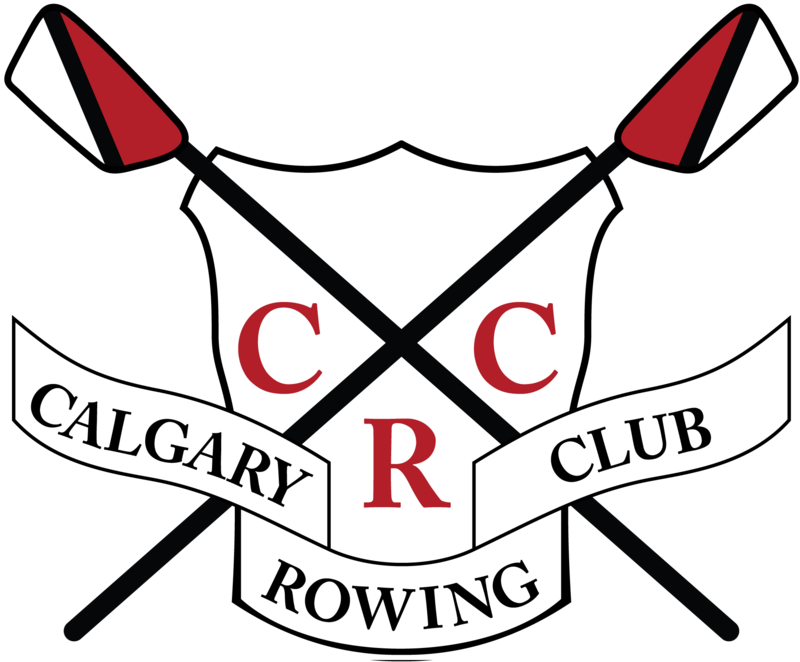 Register online by selecting your desired youth camp on the side bar, or register by phone or email by contacting the Calgary Rowing Club office at 403-249-2880 or office@calgaryrowing.com. Changes or cancellations will be accepted up to five business days before the start of class and are subject to a $50 administration fee. No refunds or changes will be permitted in the five business days before the start of class.